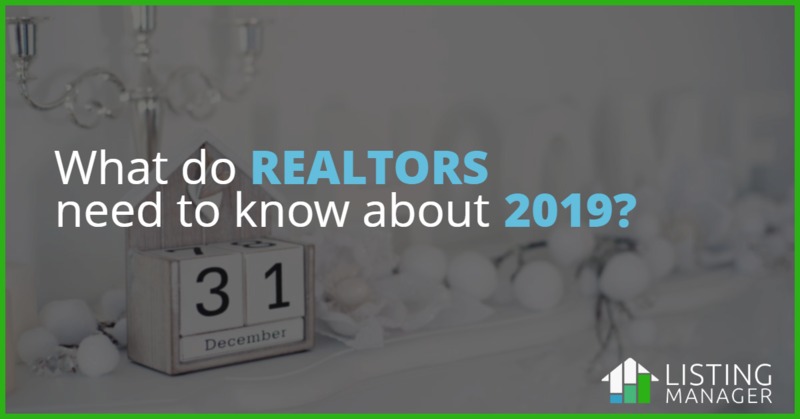 Heading into 2019, one theme emerges for most major real estate predictions: Uncertainty. Of course, heading into every new year brings a sense of uncertainty. However, according to the Urban Land Institute’s annual Emerging Trends report, 2019 seems particularly unsure. From shifts in consumer demands, to the mounting affordable housing crisis, to the impact of Amazon and super-fast e-commerce, all areas of the real estate market face their own unique challenges heading into the new year. So how can you ensure your business continues to grow and thrive in 2019? We’ve got five tips to stepping up your marketing game to ensure a strong year regardless of what the market throws at you. If you haven’t already done this, make focusing on video a key goal for 2019. Buyers today want to go into a decision with as much information as possible. They want to “walk through” a space before they even get to an actual walkthrough. People also want to know more about the professionals they work with before signing on as a client. Video is an easy and widely popular way to show off all aspects of your business. Want to showcase a certain property? Make a video tour. Have a client who’s especially happy about their new home? Film a short video of their story and your role in it. The possibilities are endless! Social media is increasingly shifting towards a focus on video. The more video content you’re able to share, the further your reach online will go. People want to want to see and share video content above all else so giving them just that is essential to your continued success online. Speaking of social media, be sure to increase your social efforts heading into the new year. Having accounts on social media isn’t enough. Social media is about being social. That means doing more than simply sharing listings and photos of properties. Buyers want to feel like they know who they’re working with. So be sure to provide a sense of the people behind the business. Another great way to boost your social presence? Reviews and attention to your online community. Most consumers now research companies through online and social media reviews. But beyond reviews, people want to see that businesses are attentive and responsive to the feedback they receive online. Don’t let the comments section go unattended; make sure to reply to and follow up with people who are engaging with your pages. None of the ideas we’re discussing work without creativity. Using social media and making videos isn’t creative...it’s the new standard. Using these tools in new ways is where their impact can be seen. For example, don’t just create videos that walk viewers through your properties, post them to YouTube, and hope for the best. Instead, try to update the video walkthrough concept. Try using the different live streaming features on all social media networks to host a virtual open house. Go beyond answering comments on social by setting up a Q&A with your followers on different relevant topics like tips for first-time buyers. Using social and video in newer ways keeps their appeal fresh without requiring too much extra effort. One key to successfully marketing your business in any field is knowing your audience. Do your clients use Facebook? Do they prefer to communicate via text? What devices are they using? Tailoring your marketing to reach your specific audience where they are is essential. For example, most people now use mobile devices to browse online. Ensuring your site is mobile-ready means you’ll reach the widest possible audience. But just having a mobile site isn’t enough - your site needs to be responsive enough to work across a whole host of devices and numerous browsers. Similarly, don’t focus on one social network and forget about the rest. What networks do your clients use? If your target group isn’t on Facebook consistently then shift your efforts to where they are. And no, we don’t mean being sure to set up your automated emails to begin with “Dear [First Name].” In fact, this tip may seem in direct opposition to the rest but it’s arguably the most important. Digital marketing allows you to reach a lot of people through numerous channels. Marketing automation makes it easier than ever to contact hundreds of leads in minutes. But all of these advances can’t replace the foundation of a successful real estate business: relationships. Don’t forget the value of face-to-face meetings, individual phone calls, and taking the time to actually learn about your clients as individuals. The personal touches are what people remember most of all. While 2019 may be a year of uncertainty, the key to staying ahead remains the same: focusing on providing clients with the highest quality experiences possible. The real estate market is a wild and intimidating place for both buyers and sellers. Real estate professionals provide the expertise needed to navigate an ever-changing landscape. And one key to providing a positive experience and demonstrating your credibility in a tightening market is a professional, high-quality online presence. Your digital brand is the first thing most clients encounter and online you only have seconds to make a strong first impression. Which is where we come in. From completely customized IDX websites to full-service digital marketing, we provide you with the tools and expertise needed to stay ahead online. Set up a demo today to find out more about our solutions to help you continue to grow and thrive in the new year.